The Colleges Business Office partners with the undergraduate colleges to achieve their respective missions and goals. Established in 2012 and comprising four units (Human Resources, Fiscal Operations, Information Technology, and Special Projects and Programs), the College Business Office consolidates the business operations of each of the six undergraduate colleges, resulting in operational efficiencies through standardizing, streamlining, and automating administrative processes. The Colleges Business Office is supported by Academic Affairs, Student Affairs, and Business Affairs-HDH. 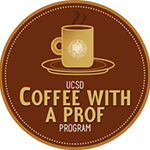 UCSD's NEW Coffee-With-a-Prof Program allows undergraduate students to take a faculty member or graduate teaching assistant to coffee at select coffee carts on campus for FREE. Sign-up at the Muir Student Affairs Office (H&SS 2126) to pick up a program coffee card. Find out about commencement ceremonies for all the colleges.